Dating apps are normally useless – I want to use an ever harsher word here. Ask anyone between the ages of 21 to 40, they would agree with me. Despite the obvious flaws in dating apps, they are increasingly become the “standard way” to meet new people with Phoneswithfreegifts.com recently revealing in a survey 80% of people under 25 had installed at least one dating app on their smartphone. This puts us in a difficult position. Of course, we all like to meet new people and explore the opportunities and have a real chance at romance. And since everyone is using dating apps these days, it is hard not to use them. So, what to do? How to not waste hours and hours one something extremely useless? – The solution is simple. Use apps that we recommend. Because we have done extensive research in bring you the best dating apps. OK, no surprises there. Tinder is the most famous dating apps out there. It is absolutely the top choice and an obvious inclusion in our list. 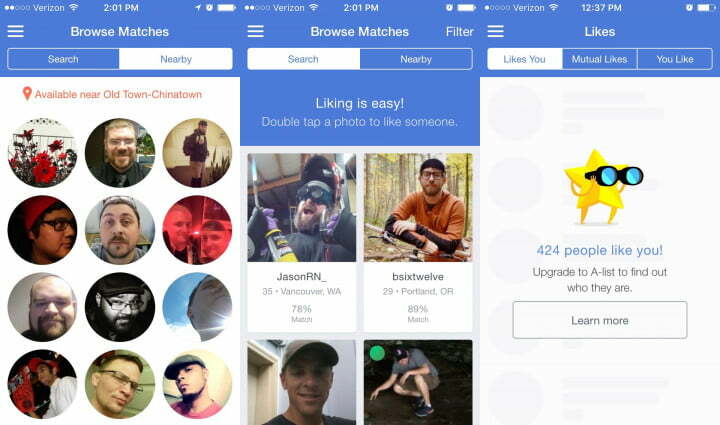 Tinder has been accused of changing romance and dates into hookups. However, it is up to you how you use this app. Tinder shows you a photo, name and age of the person that pop-ups as a match. Then you tap on the photo to see additional information. Right swipe means select and left swipe means pass – I am pretty sure you already knew that. Tinder has a great interface and is easy to use. Then there is a factor of volume because it is so famous, there are many people on it with various interests. There is a high probability that you will find the “right person” in one of its million users. OkCupid doesn’t require a Facebook profile to create an account – which is a novelty. You have to sign up and fill out the profile details. Although you can link your account to Instagram if you choose. During profile creation you answer questions, giving your input and what your potential’s matches’ opinion should be on the matter. This creates a unification platform where you meet like-minded people. You have the option of making your answers public. Coffee Meets Bagel is a fun app. When you create a profile, the app sends you a “bagel” every day. You guessed it, the bagel is a match. You get 24 hours to decide if you want to hit like or pass. Once you “like” the match, a chatroom will open and you can open a private chat. The chatroom expires after eight days – whether you are actively messaging or not. This way the “eight-day-challenge” creates an exciting game of urgency, where you have to exchange phone numbers or meet up before the chatroom expires. 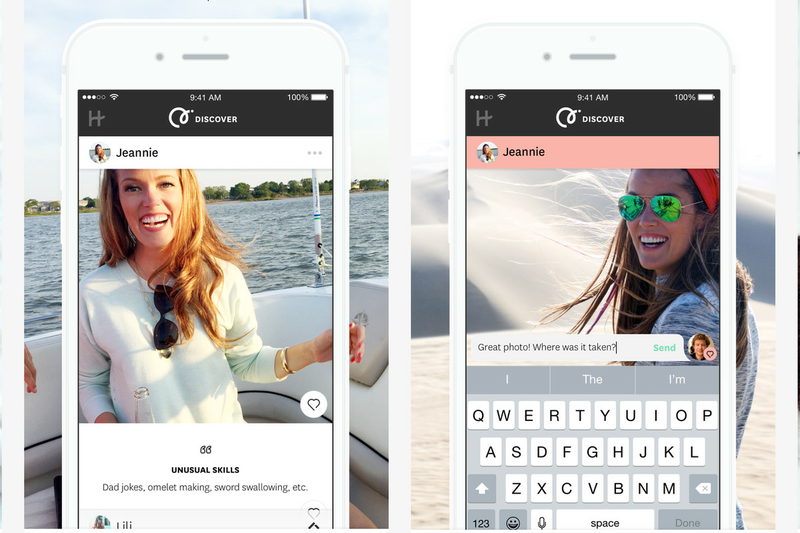 The hinge is a lot like Tinder – almost too much alike. But there are some differences that only make the app better. The hinge is more social network oriented. Hinge relies on your Facebook friends to find connections for you. The app connects you with friends of friends of friends – but only those people that have similar interests as you. You answer the various question in a very tinder-like interface. These questions gauge your interests and provide the perfect match for you. Let’s include an iOS-only app in the list as well. Tastebuds is a dating app that uses music preferences to find compatible links. It is a very unique and interesting concept. The user interface is very friendly. Making your profile is simple and straightforward. You can connect your profile to Facebook. You can upload your own photos or use photos from Facebook.